Meghan Markle is patiently awaiting the arrival of Baby Sussex! A royal source tells ET that with just a few weeks to go, the former Suits star is still going strong with her pregnancy. 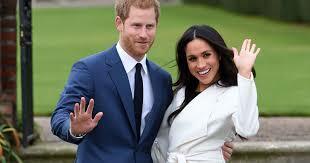 The source adds that the couple is expected to move their residency to Frogmore Cottage any day now. Meghan’s mother, Doria Ragland, is also expected to travel to London to be with the Duchess of Sussex as she prepares for birth. ET learned last November that Meghan and Harry would be moving out of their two-bedroom home at Kensington Palace and into the 10-bedroom Frogmore Cottage at Windsor Castle this spring. The new residence is close to the house where their evening reception was held following their royal wedding and the same location where their engagement photos were taken.